How to Create a Website in 5 minutes! Graham, one of Doteasy’s valued staff members has recently made a video on how to create a website. In the video, Graham chooses a website template, downloads it, and extracts the files within the download. Lastly, he uses a FTP program to upload the extracted files to the website domain, and the website is LIVE! Everything should be finished within 5 minutes (oops, Graham went over the 5 minute time frame – but that’s because he spends a lot of time explaining where to find the website templates). We know your time is valuable, so we’ve prepared this blog post telling you exactly where you can download these FREE website templates, which are completely compatible with all our hosting plans. This compatibility extends into our award-winning Basic Hosting plan as well. Another valuable resource that Graham mentioned in the video is http://www.w3schools.com – This website is especially handy when you need to tweak your templates. Templates built using HTML are both mobile, and SEO friendly which are important factors for increasing website traffic. 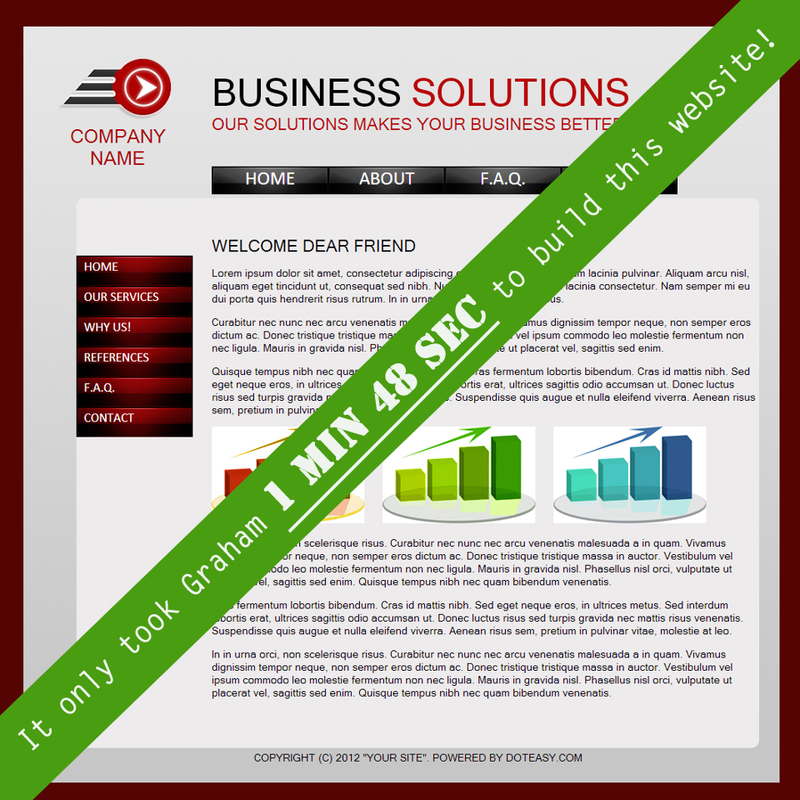 As Graham mentioned in the video, you can enjoy both the benefits of quick installation, and being able to take control of customizing your website. Want to learn more? Stay tuned for our upcoming videos for tips on customizing website templates by using programs such as Dreamweaver. Subscribe to our YouTube channel for our video updates!